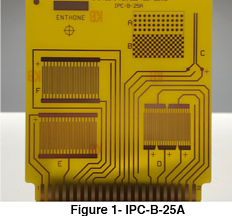 The IPC CC-830 revision B was developed as a commercial alternative to the MIL-I-46058C specification which was made inactive in November 1998. The IPC-CC-830 standard is a self-certification, which means that it can be performed by an independent testing laboratory or by the coating manufacturer. As part of the qualifications, the IPC-CC-830 includes quality characteristics that assure the user of batch to batch consistency. Material quality requirements include visual inspection, retention, viscosity, and FTIR. Furthermore, changes to the coating’s formula of more than 2% (non-volatile content only) constitute a product change, and as a result, must be renamed as a new coating material and subsequently requalified. Conformal coatings continue to be a vital part of the protection for electronic assemblies. The IPC-CC-830 (current and future editions) provide users a certain level of confidence that the coating will have the quality consistency, physical characteristics, and the protection levels required by today’s electronics. The IPC committee for conformal coatings meets on regular basis and welcomes new members. For further information, please contact HumiSeal technical support. We are always happy to help.